'Yakov M. Rabkin is a professor of history at the Université de Montréal, author and public intellectual. 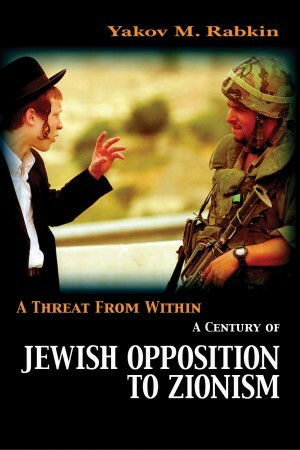 His book A Threat from Within: A Century of Jewish Opposition to Zionism was nominated for best French to English translation for "an important and timely work" at the 2006 Governor General's Awards. It has also been listed as one of the three best books of the year by Japan’s leading daily Asahi Shimbun in 2010. This book is currently available in fourteen languages. Rabkin's analysis is from an Orthodox religious perspective. Hence he sees the Torah as providing the focus of Jewish identity before the Land of Israel and colonisation took its place. I disagree. What united Jews was what they did and how they did it. It was Jews specific socio-economic role as traders, money lenders, agents of money in a pre-capitalist society based on use values that distinguished them from non-Jews. The religion, the Talmud, reflected their role. Nonetheless Rabkin has many useful insights and it is a thought provoking essay. Holding placards stating “Judaism rejects Zionism and the State of Israel,” “Bibi’s on a world tour to fuel antisemitism,” and “The Jewish religion forbids the existence of the State of Israel,” dozens of radical haredim gathered in front of the US Consulate-General in Jerusalem on Tuesday to protest against Zionism and Prime Minister Benjamin Netanyahu’s speech before Congress. Caption by JPost, photo by Marc Israel Sellem, March 2015. We have talked to Prof. Yakov Rabkin of the University of Montreal about this invention and culture of fear on which Zionism is based. We thank him a lot for his time. Dr. Milena Rampoldi: How has Israel invented the Iranian threat and with which means does Israel try to keep it for ever? Prof. Yakov Rabkin: In an earlier article I outlined the history of that invention. Israel used its allies and agents to promote it and make it into an international issue. Thus Israel was able to distract world attention from the Palestinians, and deal with them with impunity. No less importantly, this fabrication offered Israeli society another “existential threat”. Apparently, the non-existent Iranian bomb has now been replaced by another “existential threat” – BDS, international peaceful campaign to apply boycott, divestment and economic sanctions to make Israel change its policy toward the Palestinians. Some Israelis believe that their society would implode without these existential threats. Fear is what holds it together. MR: How are the real relations between Jews and Iranian people in Iran which has a big Jewish community? Prof. Yakov Rabkin:While I have no direct knowledge of the situation of Jews in Iran, it appears they are doing no worse than other Iranians. There have been no violence or specific repressive measures reported. MR: How can a refusal of Zionist ideology help us today to promote the friendship between the Jews and the Muslim peoples in general and Iran in particular? 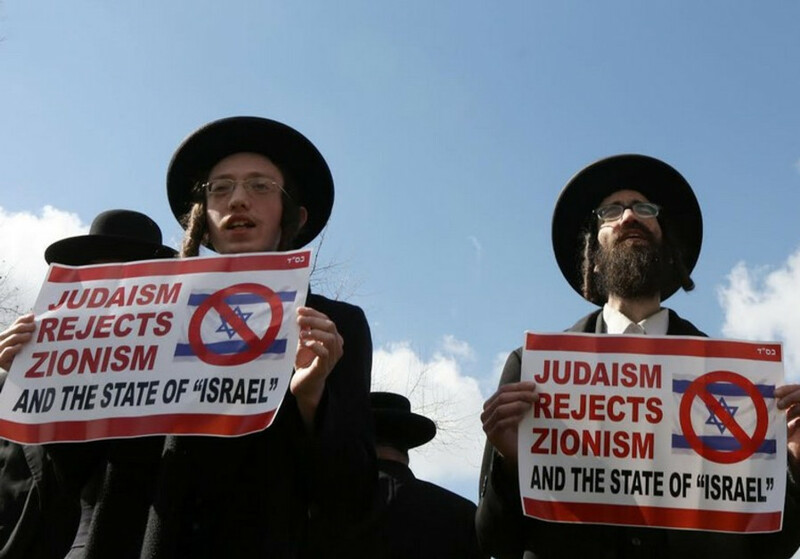 It is important to emphasize that Zionism has been a rupture and a rebellion against Judaism. Most Jews opposed it when it emerged in the late 19th century. One must reject antisemitic conspiracy theories and understand that Jews around the world, whatever their vocal support Israel, have no influence on Israeli policies. They should not be held responsible for what Israel is and does. Then one could see that Judaism and Islam are the two closest religions to each other, that Jews lived a lot better in Islamic than Christian realms and that many classical works of Judaism are written in Arabic. Moreover, Jews with their experience of antisemitism in Christian countries can help Muslim to cope with the growing Islamophobia. MR: What would you say to the German Chief of the Zentralrat der Juden, Dr. Schuster, who said the Iranian deal is dangerous for Israel and for the stability of the whole Middle East? Israel fans around the world repeat whatever they are told to say by their Israeli masters. With all due respect to functionaries of Jewish organizations in Germany, they may be less well informed than their government that signed the Vienna agreement. This kind of support for Israel is not innocent. Recently it was revealed that Jewish organizations were covertly used by the Israeli army to spread its message during the attack on Gaza in 2014. Obviously, those Jewish functionaries who agreed to do this expose rank-and-file members of their organizations to reprisals, including violence. This is particularly grievous since most Jews, at least in the United States, support the Vienna agreement with Iran. Moreover, American Jews support it more than the average Americans. This shows the growing estrangement of American Jews from Israel, which only strengthens the point I made in my answer to your previous question. In view of this, one wonders who exactly represent functionaries of Jewish organizations: Jews in their countries or the State of Israel. MR: How long will people take to understand that Netanyahu’s position is wrong. What can we explain to these people to change their position? Netanyahu in denouncing the Vienna agreement. This is part of the inexorable shift of the Israeli public to the right. And this leads to Israel’s growing isolation in the world, including isolation from Jews in major countries. 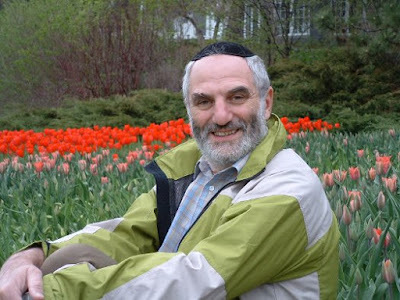 Prof. Rabkin, photo from his publisher, Fernwood. Last year one of the most important books on Zionism, ever, was published in English by Pluto: What Is Modern Israel? by Yakov Rabkin, a professor of history at the University of Montreal. The central theme of the book is how Zionists have exploited Judaism and western traditions to offer Israel as a liberal democracy when it is actually a nationalist colonialists project hanging on by its paranoid fingernails. 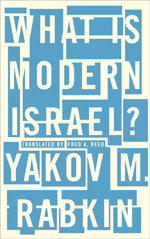 In reading his book, it struck me that the greatest service I could provide to a reader is to roll out Rabkin’s deadly insights about the nature of the “Jewish state,” and the essential antagonism of Judaism and Zionism. What follows is a long sequence of Rabkin’s observations and findings, all of which aim to end that climate of terror and allow westerners to speak freely about the Zionist era. Zionism has four essential goals, Rabkin says. 3, “To displace the Jews from their countries of origin to Palestine”. Thus, Zionism is a case of “imposed modernization typical of western colonialism,” a policy rejected by both Arab and traditional Jewish populations. [I]t would surely be more useful to speak of a division between liberal cosmopolitanism and ethnic nationalism. Zionism, meanwhile, is fundamentally hostile to liberal cosmopolitanism, which explains why the Zionist “left,” in Israel and elsewhere, has gone largely over to the “right.” What unites the two camps—their conviction of the legitimacy of Zionism—is more substantial than the stylistic or tactical differences that divide them. Jewish secular identity acquired a socio-cultural dimension: those who consciously rejected Judaism could preserve, at least for a while, a specific language (Yiddish), and a few cultural markers. This new identity was conjugated in a wide range of political options, often of socialist or nationalist inspiration. By consummating the break with tradition, the concept of the secular Jew, at variance with the traditional Jewish vision, made it possible to redefine the Jews as a “normal people” and thus became the cornerstone of Zionism. But it was a special definition of peoplehood. Torah… obliges us, until God shall call us back to the Holy Land, to live and to work as patriots wherever He has placed us, to collect all the physical, material and spiritual forces and all that is noble in Israel to further the wealth of nations which have given us shelter. Prof. Yakov Rabkin, at the Cork conference on international law and the state of Israel, April 2017. The elevation by Zionists of the volk [a superior people with a special destiny] as the exclusive subject of Jewish history led rabbis to denounce this “cardinal element” of Zionist ideology, Rabkin says. He quotes Robert Wistrich. Zionism depends on antisemitism, and it also fosters it. Not that Zionists knew how to deal with Palestinians. The Zionist activists in Europe never knew the “tolerant variety of nationalism” that arose in the US and Canada that distinguishes between nation, religion, society and state. Rather, the two slogans adopted by the Zionist pioneers clearly illustrated their intentions: “conquest through labour” and hafrada (separation). These undertakings have led to great Israeli insecurity. Today the term “security” has replaced the concept of self-defence that was widely employed before the creation of the state. “Israel, often held up as a place of refuge, and even as the ultimate refuge, may well have become the most precarious place of all for the Jews… Now, in contrast to the early years of Zionism, the sense of victimhood has become, over the last few decades, an integral part of Israeli Jewish identity. These conditions generate paranoia, which Rabkin traces to a biblical curse: “you shall flee though none pursues” (Leviticus). The sense of fragility is fed by awareness of Palestinian hostility, and of the hostility of the region’s population as a whole, a hostility often attributed to so-called “essentialist” causes—Islamic religion and irrational Jew-hatred—rather than to perfectly understandable social and political ones, such as the anger generated by discrimination, dispossession, and deportation of the indigenous population. Israeli leaders’ demand that others recognize Israel as a Jewish state “testifies to the fragility of the Israeli state, for all its power and prosperity, as felt by many Zionists.” While Zionist fears of becoming a minority cause them to encourage discriminatory immigration policies that only exacerbate the problem. “Jewish self-hatred” has been a hallmark of the Zionist ideology of national revival. And this too undermines any sense of Israeli permanence. Thus Zionism produced a state that rejected “Judaism and its humility.” The new Zionist/Israeli culture sees itself as resolutely European. “So it was that dozens of songs, nursery rhymes, and children’s stories were translated from Russian into Hebrew during the early years of Zionist settlement.” But not Arab songs! Rabkin is not afraid of the Nazi analogy. Israel and Nazi Germany are “powerful states that scorn individual morality, practice racial discrimination, and commit crimes against humanity.” Civic spaces in Israel have become associated above all with “death for the fatherland,” a linkage going back to the beginning of Zionist colonization. Hannah Arendt’s warning about Nazi leader Adolf Eichmann’s not being guilty of “crimes against the Jewish people,” but of his being a normal response to an evil bureaucratic system carries “a universal meaning, which should stand as a warning to any state that adopts ethnic discrimination as state policy,” Rabkin says. “Zionism as a symbol of the struggle against racism and for human rights has acquired the characteristics of an ideology that produces Jewish racism and an institutional system that has much in common with South African-style apartheid. Although both Israel and the United States possess nuclear weapons, they deny Iran the right to acquire similar weapons, arguing that its rulers are irrational religious fanatics. Clearly the principle of double standards is at work, reflecting the revival of the concept of so-called civilized countries that, against empirical evidence, are claimed to possess a monopoly on rationality in international politics. The sense of superiority has nothing to do with Judaism or antisemitism. It is inherent to Zionism, which is opposed to liberalism. References to Judaism and to Jewish tradition are of little help in understanding the contemporary Israel; quite the contrary, they are more likely to mislead, for Zionism and the state that incarnates it are revolutionary phenomena. It is easier, in fact, to understand that state’s politics, structure and laws without reference to either the Jews or their history…. It is thus imprecise to speak of a “Jewish state” or a “Jewish lobby”: “Zionist state” and “Zionist lobby” would be more appropriate. Israel has… succeeded in making the Zionist outlook—by definition anti-liberal—acceptable to the general public as well as in the media and the academic world, even in countries with a long liberal tradition where the state, rather than confessional or “tribal” loyalty, theoretically ensures the rights of the citizen…. [T]he JNF, which for a century has been establishing segregated settlements that are out of bounds to Arabs, enjoys not only Canadian fiscal benefits, but the personal participation of top federal officials in the organization’s fundraising efforts.